www.RecruiterNetworks.com is offering an affordable monthly recruiting package which will cost any size company less than a cup of coffee per day for unlimited recruiting and job ads in their particular city of choice on the RecruiterNetworks.com platform. Miami Lakes, FL, January 14, 2019 --(PR.com)-- RecruiterNetworks.com was determined to even the playing field in the highly competitive recruiting process. In one of tightest labor markets in decades, large and small companies are desperately competing for a small pool of applicants. Local businesses, franchises and family run companies typically don't have the budget needed to compete with larger companies for expensive recruitment advertising normally used to attract the best candidates. With the launch of this program, www.RecruiterNetworks.com is offering an affordable monthly recruiting package which will cost any size company about $3/ day for unlimited recruiting ads in their particular city of choice on the RecruiterNetworks.com platform. Now any size firm can benefit from significant savings with their job postings published on the RecruiterNetworks.com exclusive digital national publication network of over 1,000 leading cities in the USA. RecruiterNetworks.com has launched the first national digital publication with a cost saving package geared especially to allow small companies to advertise for a flat fee of $99 for an unlimited amount of 30-day job postings in any of the specific cities served. Companies of any size now have a one-of-a-kind resource which will enable them to post jobs in over 1,000 top USA cities with their exceptionally well priced package to allow hiring to be affordable again. 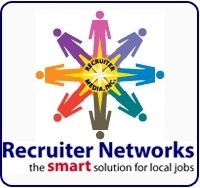 The RecruiterNetworks.com platform offers small sized companies the exclusive ability to post unlimited job openings for their various open positions on-line in over 75 different job categories for only $99 flat monthly fee on any of the 1,000 plus cities served since 2001. RecruiterNetworks.com is built to work in tandem with any employment advertising firms the company's already may be using. The initial response to the www.RecruiterNetworks.com monthly unlimited package for job postings on their digital platform has been overwhelmingly positive. The company has gained a tremendous number of new clients who are seeking better economics and ease of use. RecruiterNetworks.com has a long history of serving leading firms of all sizes, as well as professional recruiters, and employment ad agencies since 2001.